Pioneers in the industry, we offer insulated sleeves, top hat sleeves, collared sleeves, integral collar sleeve and anchor bolt sleeves from India. Owing to our vast experience in the concerned industry, we are offering Insulated Sleeves. The given range of insulated sleeves is tested on numerous provision of quality. These insulated sleeves can be customized as per variant needs of our customers. Provided insulated sleeves are appreciated for their perfect finish and can be availed from us at competitive rates. Owing to our vast experience in the concerned industry, we are offering Top Hat Sleeves. The offered sleeves are highly popular among our customers due to its excellent finishing & durability. Our sleeves are manufactured with top notch quality material & contemporary techniques. We are giving these sleeves to customers at market rates. 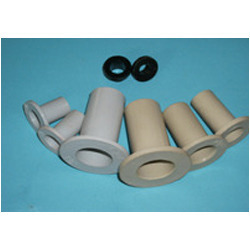 Used for insulating flanges from bolts & nuts. Available in standard bolt & nut sizes. We are known as the most dependable & recognized organization engaged in offering Insulated Sleeves. The offered insulated sleeves are designed by our workforce using quality material, in compliance with international quality parameters. Our offered insulated sleeves can be customized as per the requirements of the patrons. These insulated sleeves are appreciated for its optimum quality in the market. Owing to highly driven technical excellence, we are among the recognized manufacturer, exporter and supplier of Anchor Bolt Sleeves. 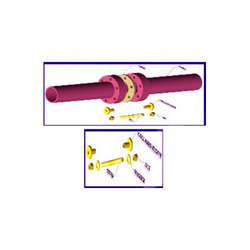 The given range of bolt sleeves is used with bolts & nuts basically as sleeves. These bolt sleeves can be customized as per variant needs of our customers. 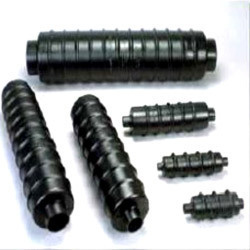 Provided bolt sleeves are appreciated for their perfect finish and can be availed from us at competitive rates. Looking for Insulated Sleeves ?